UWE Bristol offers the Chancellor’s scholarship to a bright and exceptional international student to study for the academic session. About the Award: The recipient of this scholarship will be required to undertake an internship working within the International Office or other departments and will also be required to undertake ambassadorial activity for the University throughout the duration of the course. Following graduation, recipients will also be expected to be an active member of the UWE Alumni Network by helping the University to promote its programmes to prospective students. The International office will assess their application and notify them by email if their application meets or does not meet the above criteria. Only those applications meeting the criteria will be sent to the scholarship board for final assessment. The scholarship board will assess successful applications based on the answers provided to the scholarship task questions sent to applicants via their UWE Welcome website. 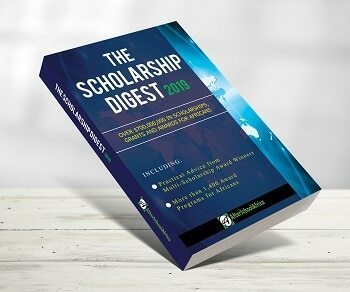 The scholarship board will be looking for the very highest academic achievers who have given full and relevant answers to the questions asked. Application should reflect applicants’ abilities and motivation, how they intend to use their experience and knowledge from studying this course. They will also look at applicant’s professional experience and career aspirations and how committed applicants are to contributing to society, their country and the university after this course. Number of Awardees: One for September 2019 start and one for January 2020 start. How to Apply: The application deadline for the September 2019 scholarship is Sunday 28 April 2019. Applicants who have achieved the equivalent of a British 1st in an undergraduate degree will be invited to apply via their UWE Welcome portal by completing the scholarship task.